Our company is a pro in hard floor cleaning in Balham. We can work with all floor surfaces. We assure you that we have strong work ethics and a lot of knowledge about cleaning. 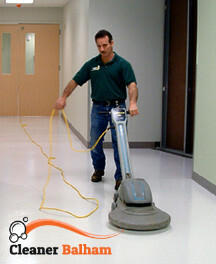 We understand the problems that may arise when it comes to hard floor cleaning and are prepared to face all challenges. We have plenty of experience in this business. We know how to obtain maximum results and we are going to work hard until we accomplish our goals. You can rely on our service. Satisfaction guaranteed. Get in touch with us today. If you need an expert hard floor cleaning service in Balham SW12, we are the best bet. We offer high-quality performance, great results and friendly attitude. You shouldn’t miss our offers. 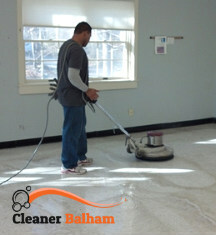 When cleaning your floors, we will be extremely careful and detailed. Every spot and stain will be pre-treated. Every corner will be checked. We will pay special attention to hard-to-reach areas. Our cleaning system is powerful enough to remove contaminants and tough dirt which usually build up on your hard floors. We use buffing and agitating to get rid of stubborn stains. The best thing about our hard floor cleaning service in SW12 Balham is that it doesn’t move dirt round, unlike brooms and mops. Instead it extracts build-on dirt that can be hard to see. We assure we have all the equipment necessary to do things right. We think that cleaning a hard floor can be very challenging unless you have the right tools and use the right technique. Either way, it takes plenty of time. So, why do the things the hard way? Use our company and your hard floors will be dirt-free, and your body will be rested. Not to mention, you’ll have more time for the things you adore doing. We urge you to give our service a try. Dial our contact number. We’ll help you restore your hard floors to their original condition.